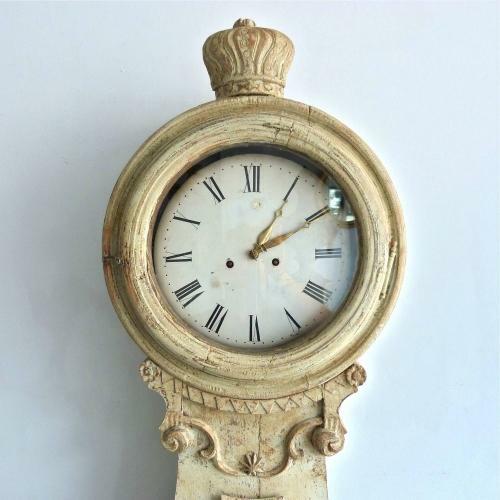 An exceptional 18th century Mora clock meticulously hand scraped back to its original paint. The exquisite crown decoration & carvings set this clock apart. Recently restored to full working order, this longcase clock chimes on the hour and would make a wonderful statement in any room. Swedish circa 1790 - 1800.